Adam Smith would disagree, Karl Marx would be appalled, and heck even Milton Friedman and Ayn Rand would be raising objections. But for some peculiar reason, there are enough contemporary lesser economic minds scattered throughout the entire philosophical spectrum, that are advocating for, and enabling the execution of, a government induced transition of our health care system to an oligopoly model of business. It all started with someone stating that our health care system is broken, and my guess is that a multitude of otherwise very intelligent people took that to mean literally broken into a multitude of useless shards of uneven size and quality. 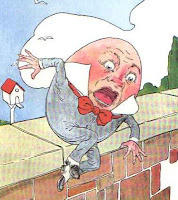 Hence the frantic attempts to glue the “fragmented” Humpty Dumpty system together again, and unlike the legendary efforts of all the King’s horses and all the King’s men, it seems that we are well on our way to putting together something that never was, and arguably never should be. Consolidation is the name of the game. Health systems are buying each other and are morphing into insurers. Private equity is buying whatever it can buy. Insurers are buying each other and are buying health systems and everybody is buying physician practices. In health care nowadays, either you are buying something, or you are selling yourself, and sometimes you do both. While these unholy matrimonies are executing, those who sell technology for health care are following a similar consolidation path, because small firms are rarely able to service large corporations adequately. The government who initiated, or wholeheartedly endorsed, all this fragmentation rhetoric, kicked off the consolidation bonanza by chartering Accountable Care Organizations (ACOs) and by imposing a slew of regulations favoring large health systems, not the least of which is the acquisition and prescribed use of very expensive and very complex health information technology. And the early, anecdotal, results are beginning to trickle in. Last week the New York Times published an article about the consolidation battles of two saintly health systems in Idaho (St. Luke and St. Alphonsus), waging holy war on each other for the right to acquire more physician practices, and with them, more patients to refer to more services within the system. Area doctors seem distraught and the prices of medical services in the larger St. Luke system seem to have tripled following each acquisition. The hundreds of comments to the article include many more similar stories from all over the country. The NYT article is not the first one to highlight the inflationary effects of mending our broken health care system, and you can find plenty more anecdotal stories here, here and here, and for those insisting on being surprised, there is always the early 2010 Health Affairs study of California-style defragmentation effects on the price of health care, and a grim warning regarding the implications to health care reform. The fascinating part of this process is that health information technology is being cited by all players as a major driver for consolidation itself and also for the subsequent increase in costs of services. Information technology, if you remember, was supposed to reduce costs for the health care industry just like it did for other industries. Instead, it seems that the complexity and unaffordability of technology is driving small providers to sell themselves to the highest bidder, and the ensuing oligopoly is then justifying its immediate price increases by the need to outfit its newly purchased assets with state of the art information technology. It seems that the fancy brand-name buckets of glue used to put the health care Humpty together are way too expensive. The apologists for the consolidation trend observe that this is just an upfront investment and soon we will be reaping the benefits just like all those other industries. These editorial opinions ignore the fact that Walmart never increased its prices to account for the world’s most sophisticated supply-chain software system and neither did anybody else in those other industries. They also ignore the Kaiser experiment in our own backyard, where billions of dollars in technology, over many years, may have resulted in better quality (according to Kaiser), but had no beneficial effect on consumer premiums for Kaiser plans, which are keeping pace with all other less integrated and less technologically advanced entities. Many health care technologists are accusing doctors of misusing technology to emulate the inefficient paper chart process and hence are failing to realize the benefits of new technology. My guess is that we have a very similar problem with health care reformers, who are envisioning technology as the glue needed to create 19th century business models for health care, because it worked so well for railroads, banks and car manufacturers. And to that end, the technology paradigm forced on health care is big, heavy, slow, expensive and in every way corporate and duly regulated by government. It feels like iron from an era that has ended about 10 years ago. The disgruntled physicians, who are complaining about health information technology not being like their iPhones or their Facebook, are instinctively recognizing that both the technology and the business models it enforces are dead. From a technology point of view, the information age is over. This is the collaboration age and information availability is assumed, just like electricity is assumed. When I can sit in my kitchen and casually chat with a colleague in Karachi, while we are both working on the same Google document and can see each other’s edits in real time, as if we were in the same room, huddled around the same table, and at zero cost to both of us, there is suddenly no ability to comprehend why having two (or seventeen) physicians coordinate patient care necessitates the formation of a new corporate structure supported by technology yet to be built and standards yet to be defined. We have the technology to support all the lofty goals of true health care reform, and the technology itself is dirt cheap, which makes economies of scale, once available from physically owning and controlling as many means of production as possible, insignificant in modern service industries. Those dwindling economies of scale are of course outweighed by the monopoly’s age old ability to set prices, which may be nice for the conglomerate, but not so nice for the rest of us. The assumption that a corporate office must control everything, including customers, through computerized means, in order to create efficiency and accountability is only true if that efficiency is to be reflected in the corporate bottom line, and said accountability is to corporate shareholders, or the corner office. The assumption that government must dictate and regulate every aspect of the business and its technology tools in order to protect consumers is only true if the business is a large monopolistic corporation. It doesn’t matter how greedy you think doctors are, a million doctors running hundreds of thousands of small businesses cannot do a fraction of the damage one monopoly can do with a proverbial stroke of a pen. Thousands of hospitals operating independently, largely as contractors for those independent doctors, can never muster the necessary clout to unilaterally raise prices or hoard information, and hundreds of insurers (or fund administrators) negotiating separately, can never drive hospitals, doctors or patients into bankruptcy. And government’s job is to ensure that everybody plays by a clear and simple set of rules. This is what we mean when we say that health care is local. This is what Adam Smith’s books were all about. And this is what we should be doing (with or without a single payer). 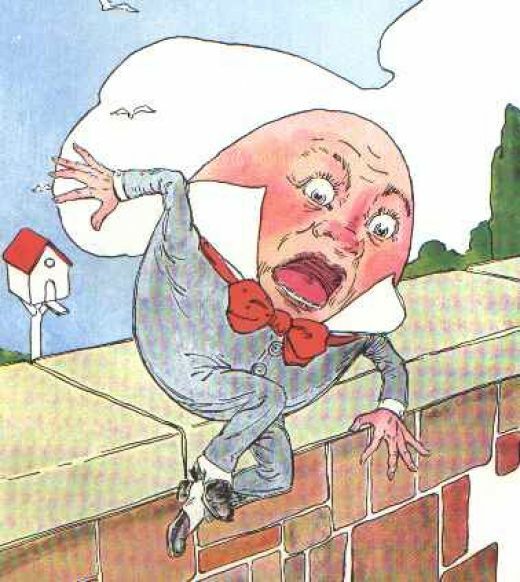 Instead of erecting regulatory barriers to simple collaboration, we should be smashing any large pieces left over from times when Humpty Dumpty was ruling the walls on which it was sitting, because health care is not literally broken or fragmented. It is distributed.